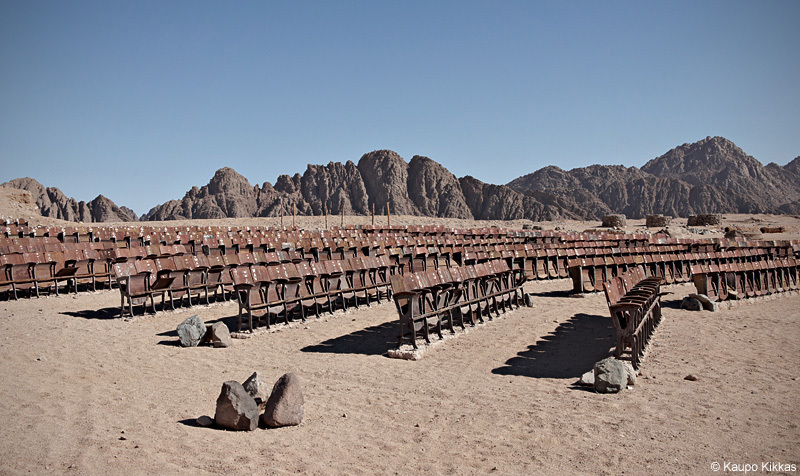 On a sunny day at the very beginning of this millenniums a crazy frenchman found himself in the desert of Sinai. After some puffs of a magic smoke he wondered - how come that there are no cinemas in the middle of the desert? He flew back to Paris and arranged some money. 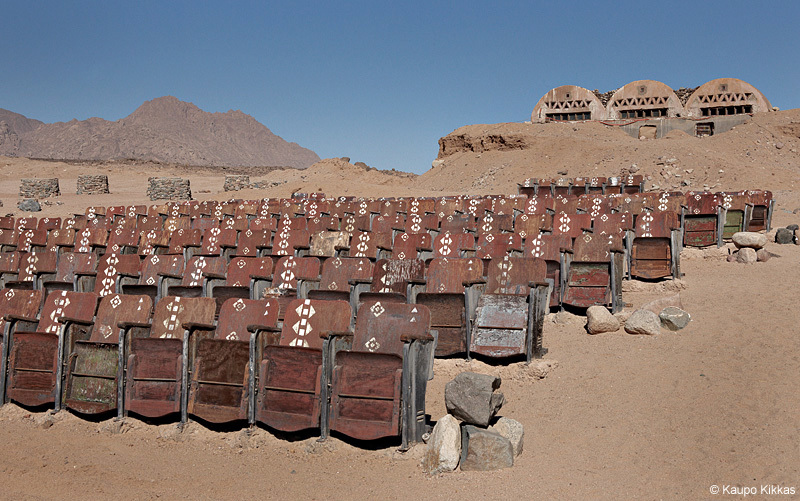 After that he went to Cairo to buy original old seats and projection equipment from an old cinema theatre. Then came back to Sinai, arranged generator for electricity a monsterous tractor to pull up the screen that was like a gigantic sail. And now everything was more or less ready for the premier. At the premier evening everything went "accidentally" wrong, their electricity generator was sabotaged and no movies were ever screened at the End of the World Cinema. So there it lies and waits - a monument from another reality and time.